Equipoise (Boldenone Undecylenate) - Don't Buy Until You Read This! When the infamous Steroid Guru ‘Dan Duchaine’ pitted Equipoise or EQ against Deca Durabolin in his underground steroid Bible, it ruffled some feathers. But more importantly, it bought this little known anabolic steroid into the spotlight. We say ‘little known’ because despite being introduced for therapeutic use in humans as early as 1949, Equipoise hardly got the attention that some of its more powerful siblings did. But Dan’s comments reignited public interest in Equipoise. Or at least made his readers sit up and notice. Is there really a compound that is cheaper than Deca but more powerful than it or at least similar to it? If yes, then why didn’t it get mainstream attention during the golden era of bodybuilding when information about most anabolic steroids would make its way into the public domain? The fact is that EQ or Equipoise has always been an extremely underrated anabolic steroid. But one that can find its place in just about any steroid stack. 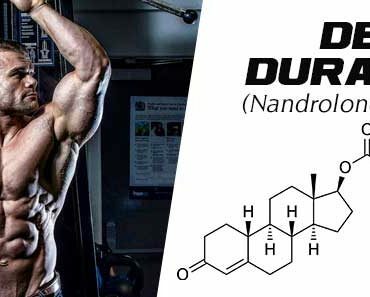 Why, this granddaddy of anabolic steroids can even hold its own as a base steroid for someone looking for clean gains without any of the estrogenic nasties. Chapter 1. What is Equipoise? Equipoise (Brand name owned by Fort Dodge Animal Health) or Boldenone Undecylenate is a structurally altered form of testosterone. The alteration happens at the first and second carbon bond positions and brings about a significant reduction in the androgenic activity of the compound. It also makes it less estrogenic. This clubbed with the Undecylenate ester makes it a slow and sustained release steroid that peaks in three-days post injection and tapers off over a 21-day period. In fact, technically, it is an injectable form of Dianabol without the methyl group attachment to the 17 beta hydroxyl group. But it is nothing like Dianabol in terms of results. EQ has an anabolic to androgenic ratio of 100:50. In theory, that means that EQ should be as powerful as testosterone in building lean muscle mass. However, it falls drastically short in this regard. EQ is nowhere as powerful as testosterone in promoting muscle gains. That doesn’t mean that it does not have its place in performance enhancement or bodybuilding. In fact, EQ has for long been used by fitness athletes for the clean, refined muscle gains that it can provide when clubbed with diet, exercise and supplementation. Most importantly, it aromatizes 50% lesser than testosterone does. Chapter 2. How to use Equipoise? Equipoise is an oily injectable steroid that is generally well tolerated among both men and women. A first time user can start with a dose of 400mg/week. More experienced users can easily tolerate up to 600mg/week, even though it slightly amplifies the risk of estrogenic side effects. Women on the other hand can avoid virilization with low doses like 50mg/week. Equipoise has an excellent half-life that lasts up to 8-weeks. Despite this, most athletes and bodybuilders prefer splitting the weekly dose into two or three injections. This makes the side effects easier to control. A typical Equipoise cycle should last 8-12 weeks. Due to its similarity to testosterone and its ability to provide lean, dry gains devoid of any water retention, EQ makes for an excellent compound in both, cutting and off-season maintenance cycles. In veterinary use, it is administered to horses to improve lean muscle mass which is partly achieved due to a notable increase in appetite that the compound causes. Hence, it is crucial to club EQ with a controlled diet and supplementation program, particularly if you intend to use it as a base steroid. Here are some of the effects of EQ. Much like any other testosterone-derived anabolic steroid, EQ greatly improves protein synthesis in the body. This allows the user to make clean and even gains especially when they control the amount of calories they consume. Remember what we mentioned about the increased appetite? While that might be individualistic (not everyone starts to hog on food while on EQ), it still deserves a mention. On a positive note, this makes it an excellent compound to add in a maintenance cycle as it will protect hard earned muscle tissue from being cannibalized by the body. EQ provides excellent strength gains which are most beneficial during off-season when your body is struggling to keep up with the gains made during the peak season. This allows you to hit the weights hard without the use of additional compounds which once again results in muscle mass maintenance. EQ boosts muscle and joint recovery allowing you to pump iron without your muscles getting sore or ligaments getting torn. In fact, that might be the only similarity that it shares with Deca Durabolin. EQ will help you make lean and dry muscle gains. It might not be a lot as compared to Mass Bombs like Dianabol and Anadrol. Nor will it be as fast as some of the other compounds. But you can be rest assured that the gains will be refined. Many users report the muscle fibers made while on EQ to be hard. While a 50% androgenic ratio looks very appealing on paper, it does not eliminate the risk of experiencing androgenic side effects altogether. Instead, it just tips the scale in your favor. Even you are not extremely sensitive to estrogen, the chances of experiencing estrogenic sides are incredibly low while on EQ. This means that there’s a 50% lesser chance of experiencing gynecomastia. Having said that, at high doses Equipoise can increase your Red blood cells more than what other compounds do. This can cause an increase in high blood pressure leading to water retention. That might sound contradictory. But that’s how it works. That’s why it is extremely important to start with a low dose of EQ and build up your tolerance levels. Last but not the least, the intense craving for food can be counter intuitive to someone looking to curb hunger during a cutting cycle. Equipoise is one of the best compounds that you can add to a cutting cycle. It’s an off-season maintenance cycle and a body recomposition stack. It is often overlooked in favor of other fast acting compounds. But this ‘slow’ steroid can often give you the gains you seek without the risk of unmanageable sides.